Replace your ragged rugs with brand-name carpets from Mazza's Carpet Hammonton. As one of the most recognized carpet stores in Hammonton, NJ, we offer a large selection of carpets and area rugs in various styles, colors, and textures. In addition, our friendly and knowledgeable associates help you locate the perfect carpet to match your personal preference. You want something classy and comfortable under your feet. If your old floors are no longer stylish and attractive, upgrade your living area with carpet. This durable and inviting flooring product not only provides a soft place to walk but is an excellent choice for customers that need a cozier and quiet home. Whether you need carpet installation in your bedroom, living room, or dining area, carpet creates a warm and inviting ambiance for any area. Enjoy the perfect carpet at the perfect price. We feature brand-name carpets at the best carpet prices in the area. 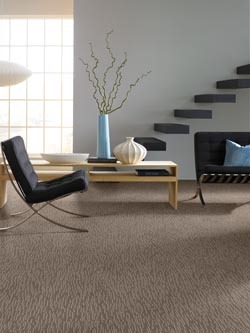 We offer premium carpets in numerous colors, patterns, materials, and textures. You are sure to find the highest quality products at our warehouse showroom at prices that are reasonable for you. In addition, we also provide excellent discounts, such as up to $500 off your first purchase. Don’t go anywhere else if you need carpet installation. We make sure you have it all at our store: quality carpets and professional installation. Our team installs carpets for homeowners and business owners. We are experienced, trained, and able to correctly install your flooring choice. This ensures you enjoy a premium product and a stress-free flooring experience. We also extend special guarantees with our installation services. Make a lasting and positive first impression on your customers by installing first-rate commercial carpets. Even more durable than traditional carpeting, our commercial brands are very durable. They also come in so many colors and varieties, so your choices are never limited. From rich browns to beautiful creams and everything in between, we definitely have something to suit your décor and aesthetics. Cover your floors with classy, brand-name area rugs. The team at our flooring store brings beautiful style into your business or home. Adding warmth and appeal to your rooms, our area rugs provide the look you want. We have in stock a full line of rugs from trusted manufacturers as well. Visit our store to browse our products. Contact us for assistance in choosing the perfect carpet for your home or business. We proudly serve customers in Hammonton, Cape May, Vineland, Ocean City, and Atlantic City, New Jersey, and the surrounding areas.